We use two of the world’s leading suppliers of industrial robots, ABB and Fanuc. When space is limited and a large number of details are to be handled, this option is a good solution. 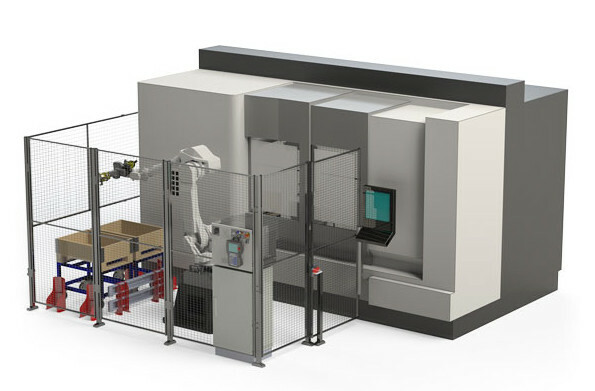 Two full or half pallets, the robot picks up the components directly from pallets. You can stack the products on top of each other for a larger number of products in the cell. A vision camera is placed on the robot gripper to locate products. 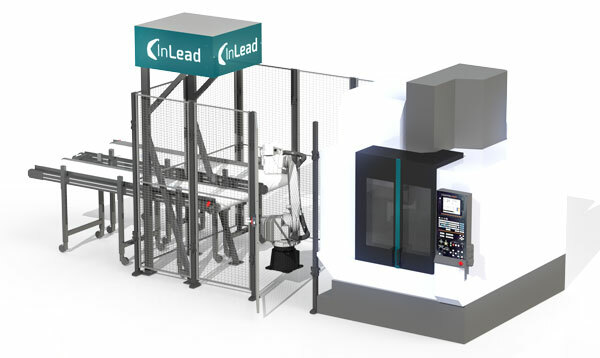 Cylindrical part handling for small and medium size series. Simplicity permeates all parts, without compromising our quality requirements. The InFeeder is a compact unit built on a base plate, 1200 x 1800 mm. 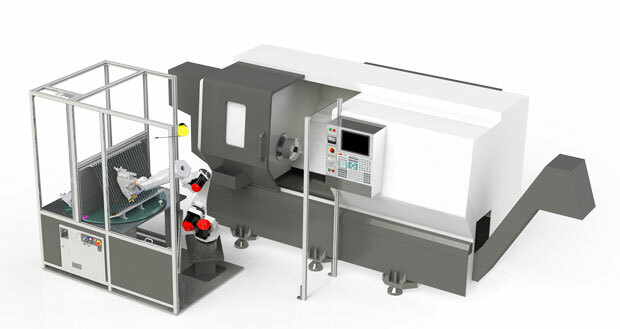 Here we have taken the operator interface to a higher level, entering the parts measurements before and after processing and the robot programming is made. Loading/unloading of parts is done through a rotary table, outside the robot area. Place your parts on a conveyor and take your finished part from another conveyor placed beside or below. On top of the conveyor you will find a Vision camera is placed for guiding the robot to pick the parts. 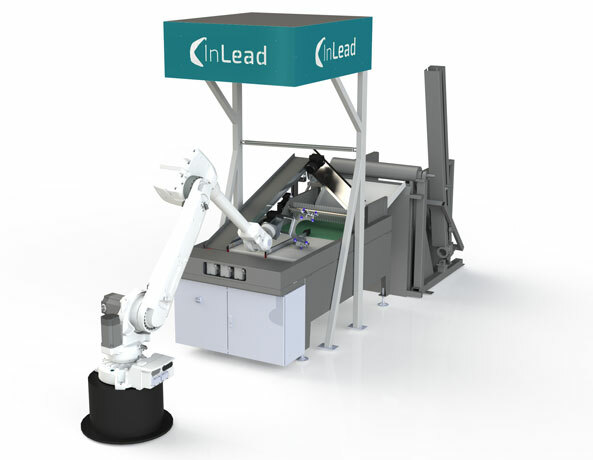 This solution will be adapted in terms of your individual robot model and conveyor length. Place your pallet in the pallet tipper equipped with a sequence dispenser. Vision will guide the details. Those details that will not be picked will be returned. A rotating brush will brush off details stacked on top of each other. These solutions are adapted to ABB as well as Fanuc and portal robots.